Adrian Dobrescu, M.D. graduated from LSU Medical School in New Orleans in 2006 and went on to complete his postgraduate medical training in the Department of Surgery at Ochsner Clinic Foundation, followed by his Dermatology Residency at Tulane Health Sciences Center. During Dr. Dobrescu’s fellowship in dermatology he focused on clinical research trials as well as cosmetic and procedural dermatology. In addition to authoring several scientific publications he has spent rotational time internationally practicing in in Spain, Romania, and France. Dr. Dobrescu and his talented female staff treats patients seeking the vConfidence procedure in addition to all other medical, surgical, and cosmetic dermatology concerns. His special interests include skin cancer and pre-cancers, psoriasis, acne and both surgical and non-surgical dermatological rejuvenation. Dr. Dobrescu routinely performs the vConfidence procedure in addition to skin cancer surgery, Botox, fillers, chemical peels, CO2 skin resurfacing, sclerotherapy, and laser and light based treatments including, laser resurfacing, intense pulsed light treatments, light emitting diode and photodynamic therapy. Dr. Dobrescu is a fellow of the American Academy of Dermatology and a Diplomate of the American Board of Dermatology. He is also an active member of the American Society for Dermatologic Surgery and the Louisiana Dermatological Society. 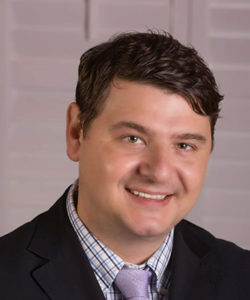 When not seeing patients, Dr. Dobrescu enjoys traveling, going to Saints games, and spending time with his family and friends. Dr. Dobrescu grew up in Uptown New Orleans and is excited to practice dermatology on Magazine Street!